Email used to be the productivity tool that no one could live without, but it's increasingly becoming a productivity killer as we spend more time than we should aiming for inbox zero. An advantage Timperley cites is that these tools are far more responsive and offer an active communication platform, instead of being passive, like email. "Many thought leaders believe these new collaboration tools have the power to eventually replace email, although this has been heavily debated." InTouch CEO Karl Nimmo argues, however, that while email may be the preferred form of communication, with some 125 billion business emails being sent and received each day, collaboration tools and other messaging apps are gaining traction among organisations across the board. This, he says, is partially because email-based cyber attacks are rocketing. In fact, Symantec's `Internet Security Threat Report 2017' revealed that one in 131 emails was malicious, the highest rate we've seen in years, proving that email is a favoured vehicle for online fraud. As a result, says Nimmo, the adoption of alternative tools to replace email is a trend that is here to stay, and will save companies time. McKinsey's `Global Economic Report' claims that email takes up 25% of a working day for most individuals - that's two hours for those of us who work an eight-hour day. Yet, Timperley believes that although email may well start to look old-fashioned in the age of instant gratification, it is far from dying, and will remain the backbone of many businesses' communications for many years to come. "It simply isn't possible to have live chats and collaboration groups open for every issue in a business." However, says Paul McIntyre, chief sales officer at Elingo, while conceding that there will always be a place for email, communication in the workplace has moved well beyond email. "Today, it is all about real-time messaging and getting instantaneous responses. Email is very much a push system, whereas instant messaging platforms provide direct contact with a business and show customers when messages are read...It really is about identifying and using the best platform for the task at hand." But, do tools that seek to replace email improve productivity? Timperley says these tools quickly overcome the people factor- that resistance to change - because they are seen as fun and more interactive. When used properly, he adds, they can assist in solving problems faster, and help in fostering more collaborative ideas. People are able to 'work out loud' and collaborate far more effectively. Email wasn't designed to cope with complex projects involving multiple parties. "People are able to 'work out loud' and collaborate far more effectively. Email wasn't designed to cope with complex projects involving multiple parties." When it comes to BYOD, McIntyre says companies must adapt or die and embrace the likes of instant messaging and the reality of employees using their own devices for business communication if they are to evolve. "New communication methods and solutions must be integrated into this digital, always connected world." More concerning is the amount of confidential information being sent over consumer communication solutions like WhatsApp and others. Companies need to educate their employees around best practices to mitigate the risk of information falling into the wrong hands," he says. As Timperley notes, these collaboration tools are not immune to abuse and risk - and a common downside of very robust collaboration platforms is that employees can begin to hide behind the technology (much like email) and neglect the need for person-to-person interaction. This is a potential risk of most communication technologies, and all must be used in moderation. No communication tool in the world is as effective as a conversation or face-to-face meeting. Shaun Dicker, manager of Microsoft 365 Teamwork for Intervate, a T-Systems South Africa company, cites one risk that comes in when organisations that don't embrace productivity and collaboration tools, either in support of or to replace email, resort to public chat tools like Skype and WhatsApp. The risk with such tools, although convenient, is that organisations have little to no control over where their business data is going, and on which devices it ultimately resides, he says. Apart from being a security risk, it could also cause non-compliance with laws such as the General Data Protection Regulation and the Protection of Personal Information Act," he says. Dicker adds that another security benefit is that public tools like Skype don't have audit trails for document-sharing, chats or information transfer. For these reasons, businesses that adopt productivity tools need to ensure they use tools designed for enterprise, with the built-in security mechanisms and auditable tracking. "Work gets done in teams and not on email. Email is great for covering all bases and ensuring that there is a traceable history of communication, but there are better tools to do the same with more ease and productivity," says Dicker. 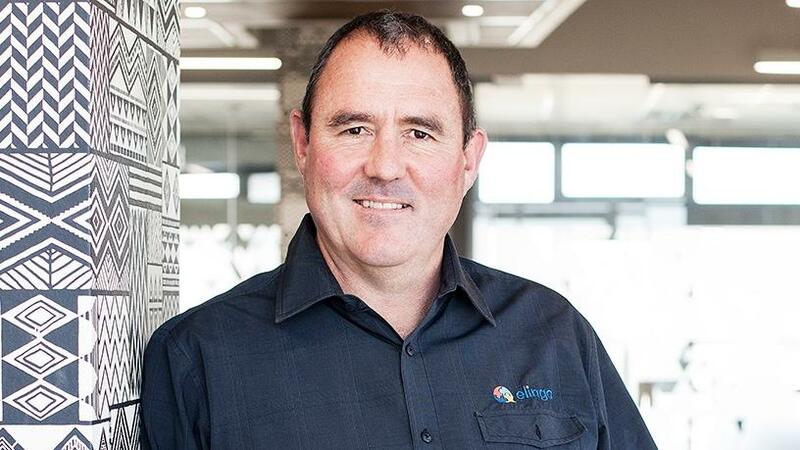 This article was first published in the October 2018 edition of ITWeb Brainstorm magazine. To read more, go to the Brainstorm website.